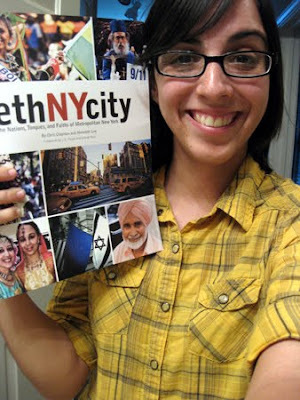 As most of you know, in 2008 I spent four months serving in New York as a photographer for a non profit organization. The main purpose of my time was to photograph ethnic groups/religions for a book that was being put together with extensive research. The idea behind it was much like Operation World, but with more photos. This book is pretty awesome and I am so glad I was apart of it. So whether it's just a coffee table picture book for you or a way to pray for specific groups in New York, your support is greatly appreciated and needed. ALL proceeds go to church planting in Metro New York. 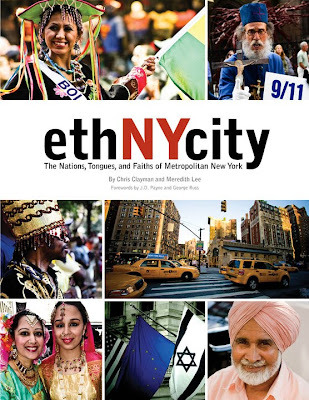 ethNYcity: The Nations, Tongues, and Faiths of Metropolitan New York is $25 and can be purchased at http://www.ethnycitybook.com/ For local people, I do have a box of books that can save you a little on shipping. The top photos on the cover are mine as well as the two bottom left ones.